According to media reports, Turkish police has detained 85 military personnel in raids across the country over alleged links to the group blamed for the 2016 failed coup. Prosecutors in Ankara issued arrest warrants for 110 active duty personnel in the air force, state-run news agency Anadolu reported. The raids were part of a probe into followers of US-based Muslim preacher Fethullah Gulen, who denies involvement in the coup. Turkey claims Gulen ordered the attempted overthrow of President Recep Tayyip Erdogan on July 15, 2016, but he strongly denies the charges. More than 77,000 people including military personnel, teachers and judges have been arrested over suspected links to Gulen under the two-year state of emergency imposed five days after the coup bid. The government ended the emergency this July. While western allies have expressed concern over the scale of the crackdown, Ankara has insisted the raids are necessary to remove the “virus” that is the Gulen movement’s infiltration of key Turkish institutions. Gulen lives in Pennsylvania for almost a decade now in a self-imposed exile and maintains that he promotes moderate Islam, secular education and peaceful movement. A failed coup to unseat President Recep Tayyip Erdogan in July 2016, triggered two-year state of emergency imposed five days after the coup bid. 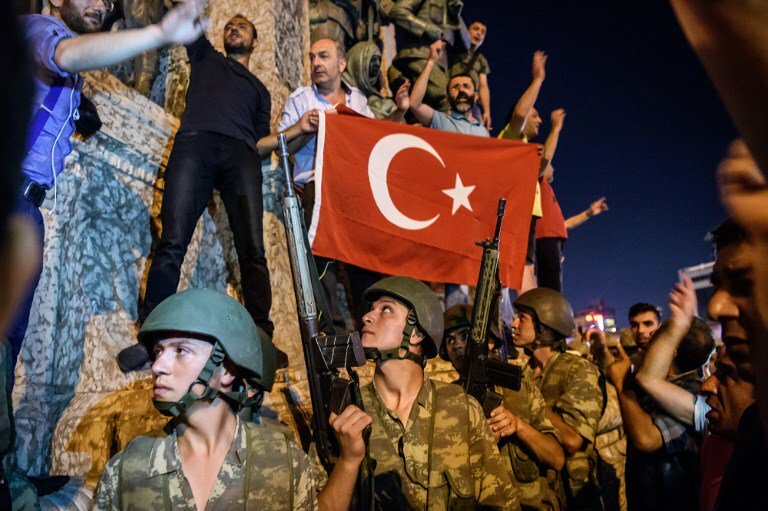 On July 15, 2016, when a section of the Turkish military launched a coordinated operation in several major cities to topple the government for several hours in follow up it, it looked like Turkey was going to face the fourth devastating military coup in its 95-year political history. In an unprecedented manner, soldiers and tanks took to the streets and a number of explosions rang out in Ankara and Istanbul. The government swiftly declared victory in this coup and scores of troops that had taken part in the coup surrendered on the Bosphorus Bridge in Istanbul. Since then there has been a question of whether there can be a return of peace, normalcy and fully functional democracy in Turkey. Fethullah Gulen, a Turkish preacher and businessman who has lived in self-imposed exile in the United States since 1999 has been blamed by Erdogan government as the perpetrator of coup that resulted in 241 people killed and 2,194 others injured. Trump administration has publicly supported and threatened Turkey with sanctions if Brunson is not released but has failed to publicly demand that other Americans, like Golge or the two Turkish consular workers who are also in jail, be freed. Americans who are held in Turkey due to lack of sufficient evidence deserve a fair and unbiased hearing. The uncertainty that surrounds Turkey on political as well as economic fronts has effects on the lives of common citizens in Turkey. Political stability comes with peace on law and order side of things. In order to ensure that every escalating political action does not accelerate depreciation of Turkish Lira crisis is something that the government of President Erdogan must take caution for. On all fronts, delivery of swift justice in cases related to national security interests can play a crucial role in the redevelopment of trust in the country as well as internationally for Turkey and especially between Turkey and the US. One such technology that is well-poised to support investigations that have global ramifications for Turkey is developed and provided by Brainwave Science. iCognative technology is the go-to technology for situations that relate to peace at national security levels, helps curb coups before they happen and supports law enforcement agencies control violence and crime. Specifically, in the case of Americans imprisoned in Turkey on coup charges, iCognative technology can easily help determine whether the suspects are perpetrators or innocents and therefore deserve release. In the case of 85 military raids and 110 active personnel arrested, iCognative technology’s application can expedite the intelligence gathering process for investigators and lead investigations in the right direction with savings in time, effort and monies. The question whether these 110 people are followers or supporters of US-based Muslim preacher Fethullah Gulen, can be determined by a simple 45 minutes iCognative test. Details of investigation that led to these arrests including important case facts such as: communications with Gulen; recruitment of any other members to join cause supported by Gulen; plans to disrupt the current government functioning; plans to cause violence and coup in Turkey again; chain of command and financing methods used, all these details can be used to conduct a iCognative test on the arrested individuals. Specific intelligence and alliances that have yet to be discovered by investigators can be collected from the suspect’s brain. Over 99% accurate and cost-effective iCognative technology by Brainwave Science is applicable in all situations including counter-terrorism, border security, immigration, human and drug trafficking and many more. Deployment of iCognative technology by Brainwave Science can help Turkish investigators resolve so many complex investigative issues expeditiously with proven scientific and forensic technology. When there is no room for error and the cost of an error is a life, it is time to turn to foolproof iCognative technology, the only name you can trust for delivery of truth and justice with the power of brainwaves, powered by Brainwave Science.